Raspberry is the ultimate mobile condenser microphone for voice and instruments. Informed by Blue's illustrious studio heritage, Raspberry delivers dramatic, studio-quality sound directly to your PC, Mac, iPhone or iPad. Raspberry's new, patent-pending Internal Acoustic Diffuser (IAD) design resembles treatments found in studios and concert halls, focusing your voice or instrument while minimizing the sound of the room. Like a portable vocal studio in the palm of your hand, Raspberry gives you professional results-everywhere you go. 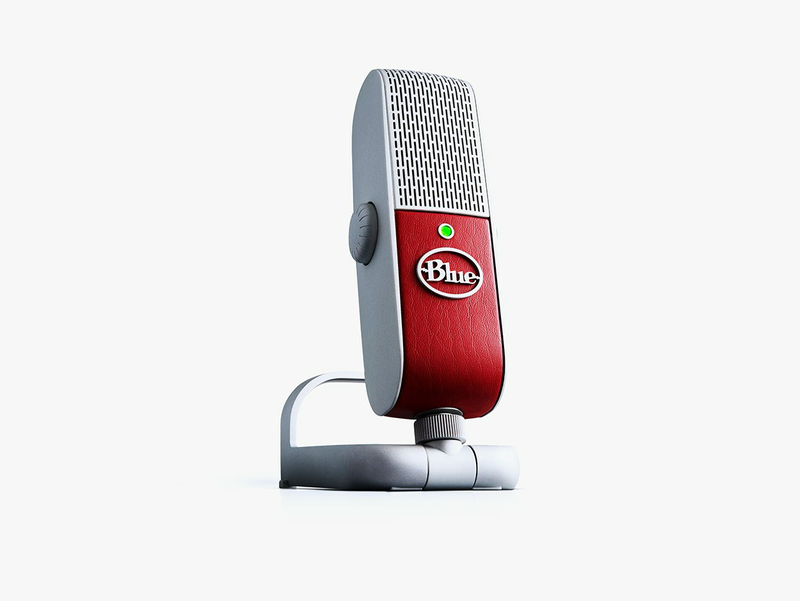 Ultimate mobile USB microphone for voice and instruments Ideal for podcasting, voice-over, streaming, Skype and music applications. Patent-pending Internal Acoustic diffuser (IAD) focuses vocals while minimizing room noise. Patented Blue premium capsule circuitry. Plug-and-play 24-bit/48kHz resolution with PC, Mac, iPhone and iPad.